Experts discuss the benefits and drawbacks of flexible working in today’s business landscape. In this era of rapid transformation, the answers about what’s right for your business aren’t always clear. That’s why Dell organized a thought leadership track session, moderated by Chitra Thankaswamy, Dell’s vice president of Global Client Solutions Marketing, to have an in-depth discussion about the realities of today’s connected workplaces. With the rise of video conferencing, omnipresent Wi-Fi, and email on every smartphone, flexible working is rapidly replacing the once standard office. By giving employees the option to work in their chosen environment, closer to their families or pets, today’s most successful companies have an easier time attracting top talent. As the CEO and founder of FlexJobs, an innovative career website specializing in telecommuting, flexible, freelance, and part-time job listings, she knows what she’s talking about. Sutton also founded Remote.co, a one-stop resource for remote teams and companies and has more than 20 years of experience in the online job market industry. 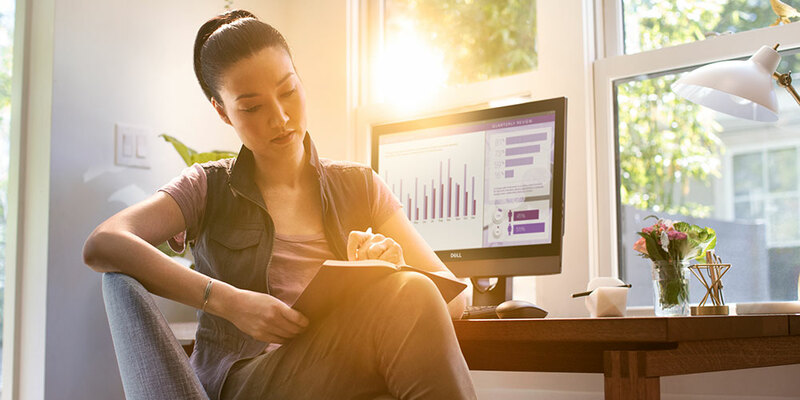 According to Brett Hansen, general manager of Data Security at Dell, “Sixty percent of users are now working from home, and two-thirds are working off hours.” Like most of our customers, we’re also transitioning to a remote-friendly setup. By the year 2020, Dell is committed to having at least 50 percent of our global team members enrolled in flexible work programs. In addition to your business’ bottom line, flexible working can help the environment too. There are situations where flexible working doesn’t benefit the business or the employee. Other issues with flexible working are the added logistical and security risks. “Nintey-five percent of breaches happen at the endpoint,” Parker said. “Offering your employees the ability to log in from home or anywhere increases the opportunity for data leaks.” This is why we were meticulous in developing technologies that minimize risk at endpoint to ensure our customers are as secure as possible while working remotely. Regardless of what works for your business, the experts agree that it’s important to connect and form bonds with your team in real life. To discover if flexible working is right for your organization, read our Realizing 2030 report and get the data you need to make an informed decision. It’s important to think about many factors – the size of your company, security needs, cost and location are all components that need to be weighed. We’re entering a new dawn, with immense possibility on the horizon. The way we work is changing, so make the transformation work in your favor.